Rock a beautiful summer look by putting your hair in a half up boho braid. 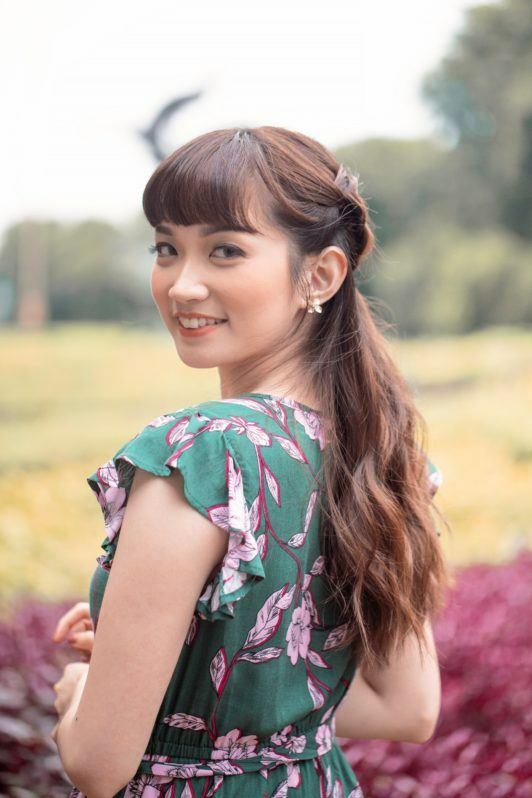 Read on to learn how to create this hairstyle. Braids and boho-chic hairstyles are so in this summer. 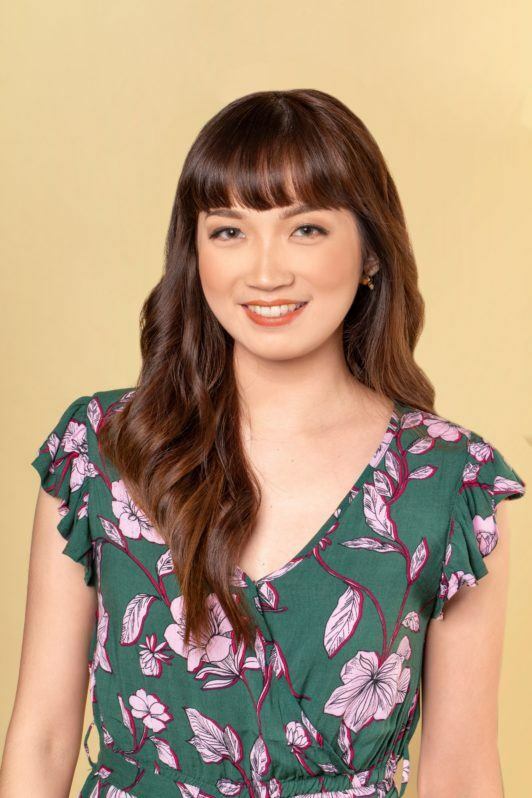 They’re chic and laidback and are perfect for all your summer OOTDs. There are many ways to wear a braided hairstyle. In this tutorial, we are going to show you how to give it a boho touch. Get ready with your styling tools and let’s learn how to create the half up boho braid. Make sure that your hair is free from visible signs of damage. Wash your tresses with Sunsilk Damage Reconstruction Shampoo and Sunsilk Damage Reconstruction Conditioner. These will also help make your hair smooth and shiny. Create a Dutch braid. Cross the left section under the middle section, then the right section under the new middle section. Repeat until you reach the tips of your hair. Pin the braid near your crown. 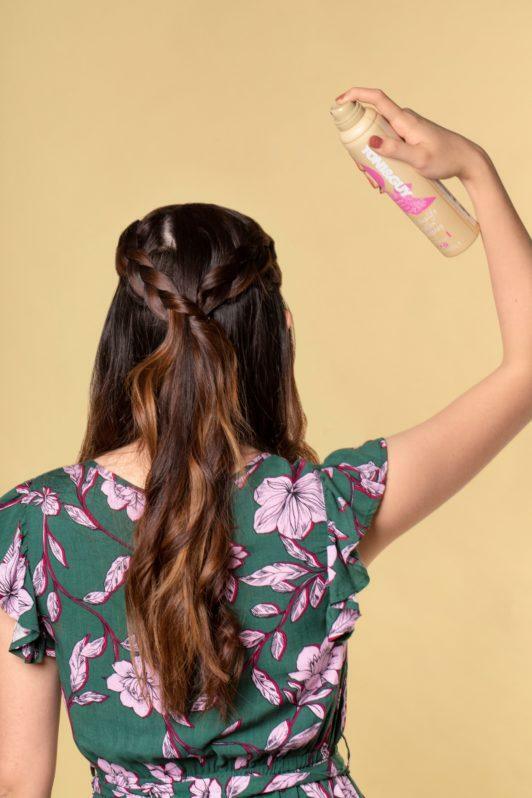 #HairHack: Spritz TONI&GUY Body Amplify Creation Hairspray on your bobby pin to help it hold your braid better. Take another section of hair on the other side and put it into a Dutch braid as well. Pin the braid near your crown. 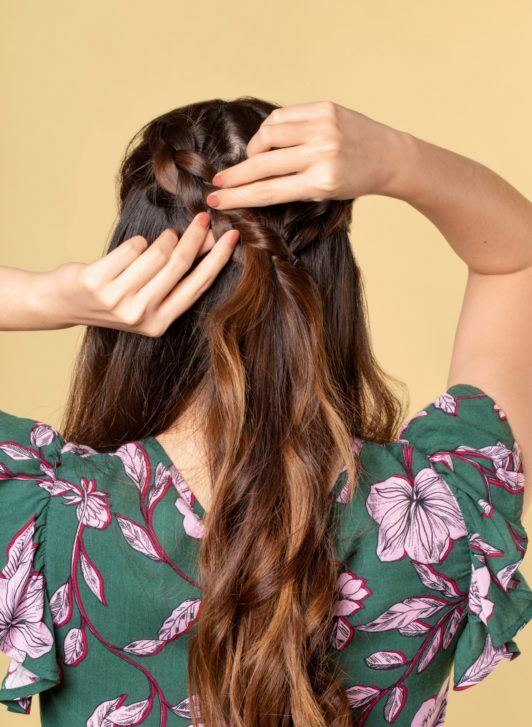 Gently pull the sides of your Dutch braids with your thumb and index finger to make them look fuller and give your hairstyle a bit of volume. Spritz TONI&GUY Body Amplify Creation Hairspray all over your hair to help make your hairstyle last long. This will also help smooth out frizz. There you have it! You’ve successfully created a half up boho braid. Rock this hairstyle in a summer garden or beach party. Nail the boho look by wearing a maxi dress and strappy sandals along with this ‘do. A few boho accessories like bangles and dangling earrings won’t hurt, too. Enjoy! Check out these half updos that are just as chic. Jazz up your simple half updo with a braid. Pressed for time? You can create this braided half updo quicky. 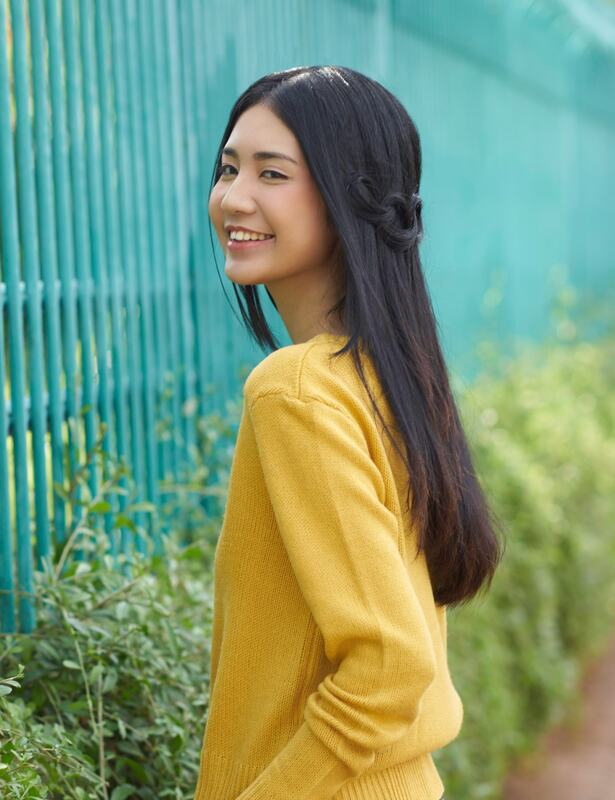 Just gather a section of hair near your crown, and instead of tying it into a low half ponytail, you braid it. That’s it! You can do this in five minutes or even less. This delicate hairstyle makes for a unique half updo. The loop braid acts as a beautiful hair accent, especially if you have silky smooth locks. Don’t let frizz distract from this hairstyle by using shampoo that moisturizes hair and calms rebellious frizz. You can also apply hair serum on your hair before styling. 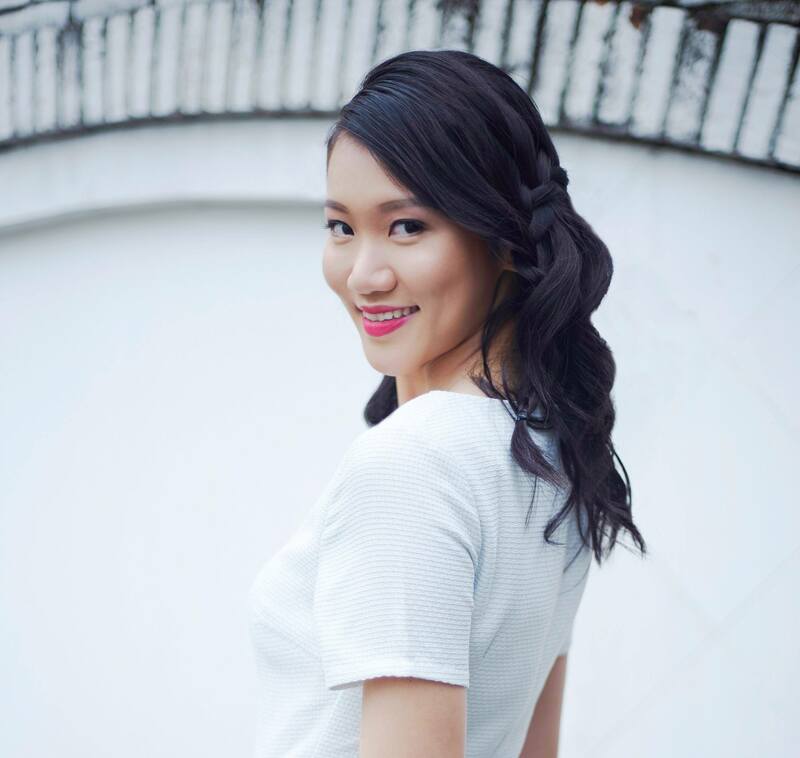 Glam up for a romantic dinner date by putting your hair in a waterfall braid. 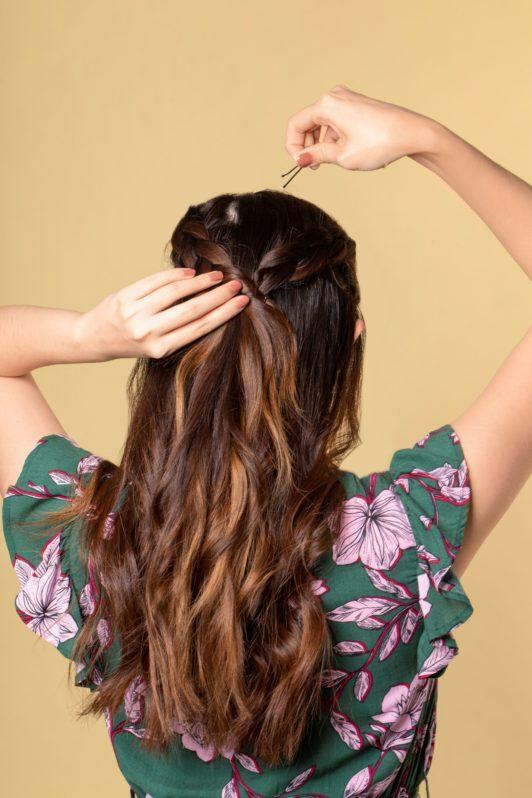 It goes perfectly with wavy hair, so if you have straight locks, nail this look by curling your hair using a big or medium-sized barrel curler. Prep your hair by applying hair mousse so help add volume, tame frizz, and give you beautiful and well-defined waves. Ready to rock the half up boho braid? Show this tutorial to your friends as well, so all of you can try this amazing hairstyle. Make sure to come back to this page for more tutorials and hairstyle ideas. Next read: Look stunning with these pretty braids. They’re perfect not just for summer but for every season.